After a tough finals loss to rivals Sunrise Sting at the West Pines Kick Off Classic, my team was looking for revenge. They were so anxious to enter another tournament, their faces lit up when we told them we’d be traveling in a few weeks to play teams from Jacksonville, Gainesville, Orlando and Palm Bay. In the training sessions I kept warning the girls we’d have to be on our game because these teams had really good records in their cities. It wasn’t difficult to motivate the girls, they love staying at hotels with their teammates and bonding over the weekend. On Saturday morning, I was able to go to the field early and watch some of the competition. A little edge like that is vital when playing teams you don’t know. As a team we were prepared to defend against the threats the teams had to offer when we played them. Our tournament started with a team from Gainesville, they also made a long drive and were staying the weekend. We started slow but our build up play was too much for them to handle, the girls were passing the ball around creating chances all over the pitch. The final score was 7-0, some of the girls who didn’t find the net recently were able to score some great goals, boosting their confidence. Our second game was against a local team, but this time, the word was out that we came to play. You could tell they had a strategy, playing really condensed in the middle with an extra defender. Slowly we broke them down, banging shots from all distances. Our defense again was rock solid, not giving up many chances and laying a solid foundation for our attacking players to build from. The final score was 3-0, we weren’t able to convert our chances like the morning game but it was still an impressive display. We headed back to the hotel and got ready for a team dinner. One of the highlights for me is seeing the girls bond outside of the field. It’s really important for them and it shows in our games that they have a tight bond. The semi-final was at 8am on Sunday morning, it was about 48 degrees and windy. In games like this almost anything can happen. The girls were up and going by 6am, eating breakfast and then heading to the park. When we got there I thought about keeping them warm in the car, but decided we need to feel this cold weather. It seemed like the other team took a different approach, they had a really short warm up. They traveled from Jacksonville and were a game away from the Championship, at this point a victory against us was all they had in mind. The girls started the game with their heads already in the final, making silly mistakes and not converting clear chances. When the referee blew the whistle for half-time, it was 0-0 and the fans from Jacksonville were cheering like they won the game. Our girls didn’t like that much and came out quickly with two outstanding goals, reaching the final with a score of 2-0. Walking to the field for the championship game our team overhead the coach from the team we would we playing, he was giving his girls a peep talk. He told them, they were undefeated all season and this was their tournament. 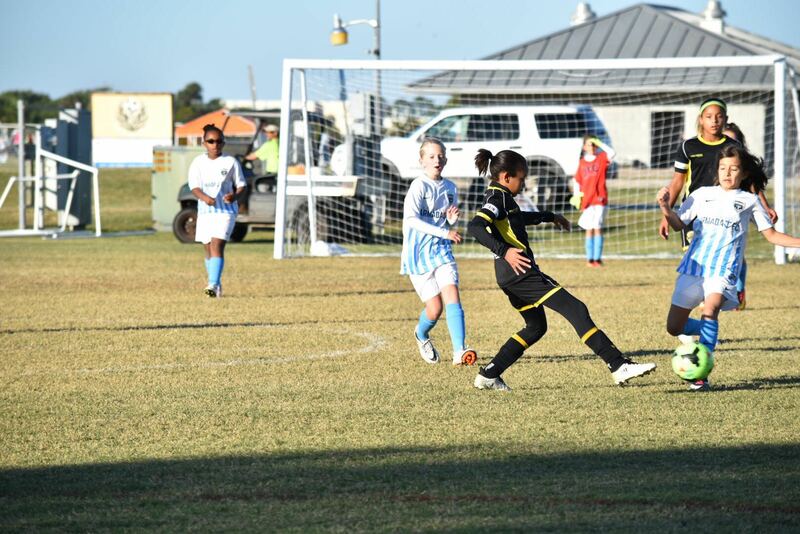 The girls on their team were bigger and stronger than our girls, they came out very aggressive and well organized. You could tell they had confidence in their approach. When we play teams that go out and try and take the game to us, it opens up spaces for our great passes. The girls feasted on the openings, jumping out to a 2-0 goal lead. The supporters for the other team were in shock, you could tell they’ve never been in this position before. 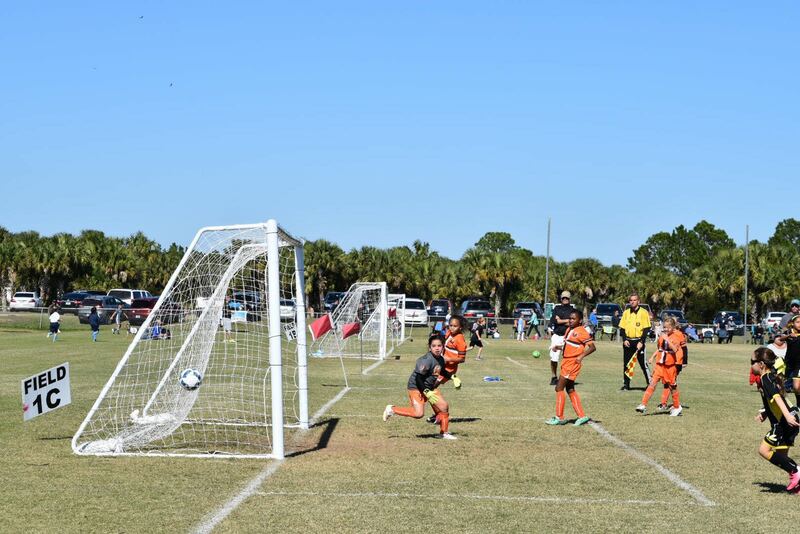 Our goalie was making great saves as usual and the team was playing some great football against a really tough opponent. We stretched the led to 3-0 and took our foot off the gas a bit, something we will be working on. 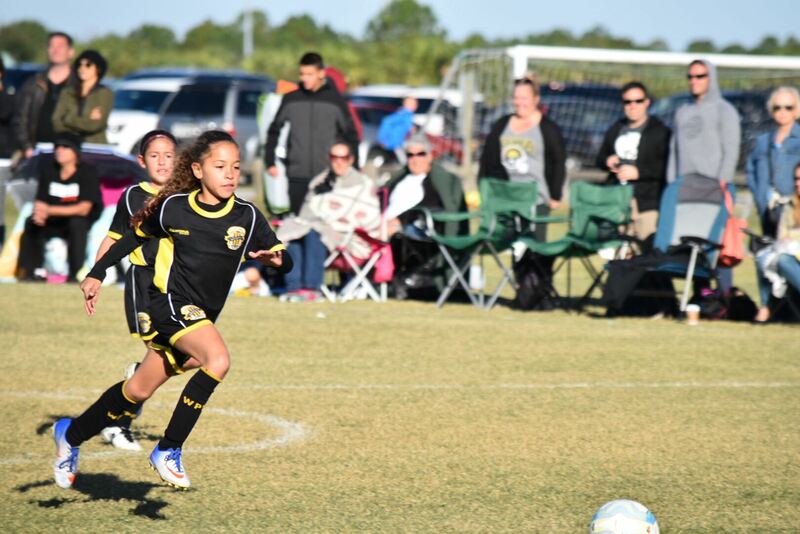 The game ended 4-2 with us bringing West Pines United FC a fourth u10 girls trophy for the year.